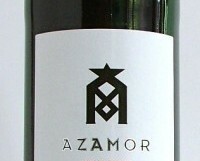 The label says ‘delicate fruit aromas, fresh fruit flavours…an exceptionally elegant wine with soft rounded tannins’. Utter rubbish! This is a big tannic swarthy number with a backbone of steely minerals and firm, ripe, almost baked dark fruits. I like it a lot but you would certainly need food. The last barbequed steak of the summer?